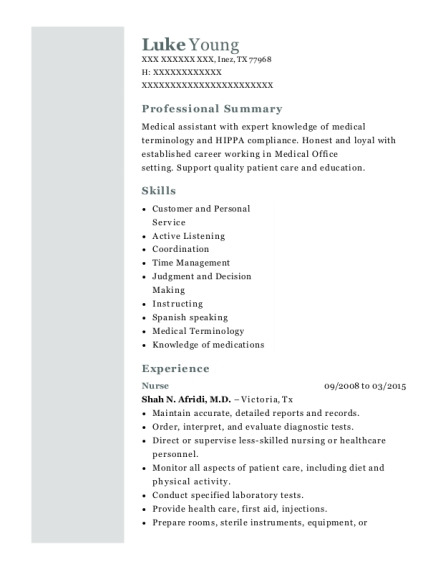 Service-oriented Navy nurse with 12 years background in Navy medicine. Core competencies include leading and mentoring junior Sailors, as well as excellent communication and time management skills. Handles tasks with accuracy and efficiency. Navy Nurse Sep 2012－Present NAVY － Bethesda, MD Walter Reed National Military Medical Center 3 Center Telemetry floor, Medical Surgical Telemetry Nurse. Clinical Nurse Transition Program (CNTP) SEP2012-MAY2013. Staff Nurse MAY2013-Currently; providing nursing care for a 26 bed medical surgical telemetry floor. Point of care representative, member of 3 center Unit Practice Council, precepted seven nurses to the unit, and trained three nurses to Charge Nurse role. Hosptial Corpsmen/ Assistant Leading Petty Officer Sep 2009－Jul 2010 NAVY Hosptial Corpsmen － Okinawa, Japan While at CG III MEF worked as Hospital Corpsmen E-5 to E-6 and selected for Medical Enlisted Commissioning Program. Assistant Leading Petty Officer AUG2009-JUL2010; Supervised 7 Hospital Corpsmen with daily medical care of 1200 forward deployed Marines and Sailors. Managed medical records, deployment health readiness, and physicals. Hospital Corpsmen/ Leading Petty Officer Nov 2005－Aug 2009 NAVY － Camp Pendleton, CA While at Naval Hospital Camp Pendleton worked as a Hospital Corpsmen E-4 to E-5. Started as an Emergency Medical Technician NOV2005-JUL2007; working on one of three ambulances on Camp Pendleton Marine Base, serving over 80,000 beneficiaries and covering 200 square miles. Deployed to Afghanistan, Headquarters Internatinoal Security Assistance Force (ISAF) JUL2007-FEB2008; Along side Army, worked in a Role 1 Medical, managed supply, and statistic reporter. Family Practice Leading Petty Officer FEB2008-AUG2009; Supervised 10 Sailors and 33 civilians in the largest department in Naval Hospital Camp Pendleton, DMHRSi Timekeeper & System Administrator, Customer Relations representative, and Assistant Command Fitness Leader. Hospital Corpsmen/ Assistant Leading Petty Officer Sep 2002－Oct 2005 NAVY － Yokosuka, Japan While at Naval Hospital Yokosuka, Japan worked as a Hospital Corpsman E-1 to E-4. Started as a Hosptial Corpsmen (HM) in a 14 bed Medical Surgical Floor aug 2002-aug 2003. As a floor HM assisted with patient care, teaching new staff, and ordering supply. Transitioned to working in a 4 bed ICU aug 2003-JUN2004; working one on one with an ICU nurse. Hand selected to work in Staff Education and Training JUN2004-SEP2005; managed Command Orientation Hospital and assisted with teaching American Life support classes. 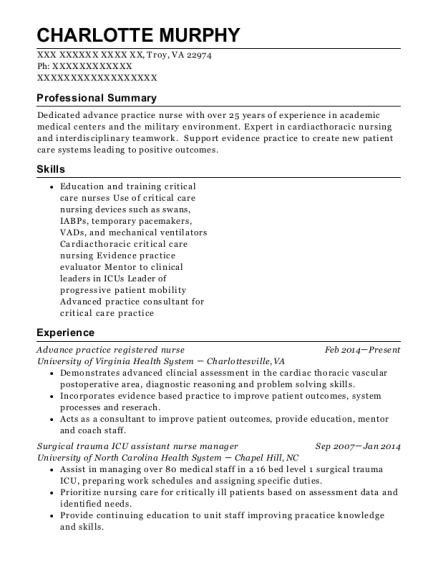 This is a resume for a Navy Nurse in Waldorf, Maryland with experience working for such companies as NAVY and NAVY. 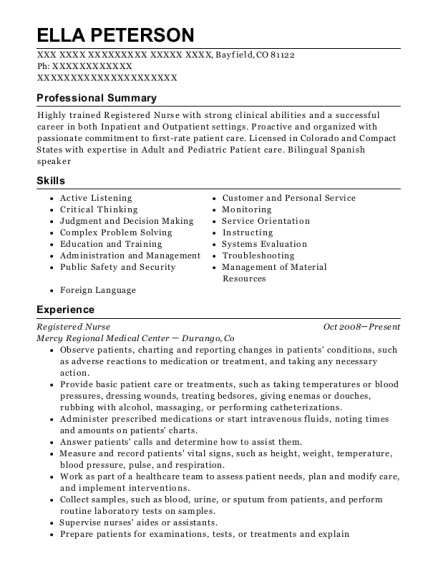 The grade for this resume is 0 and is one of hundreds of Navy Nurse resumes available on our site for free. 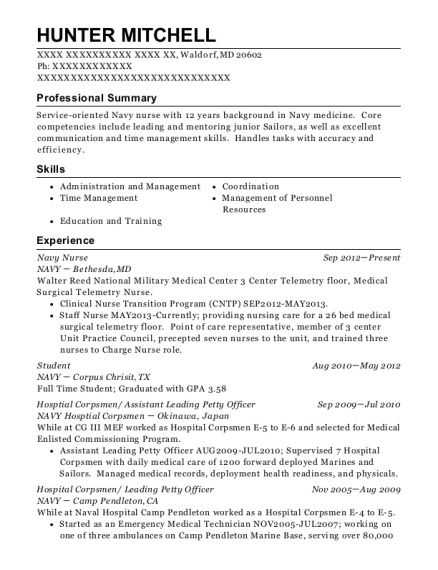 Use these resumes as templates to get help creating the best Navy Nurse resume.